HowGreen is more than a pledge to do what we can to reduce our impact on the environment—it's our plan! From the development of environmentally responsible waste management solutions, including recycling, to earth-friendly recovery strategies, we're investing in the future of our planet! Most electronics, including desktop PCs and laptops, are built with parts that contain materials that should not be disposed of via municipal waste, such and batteries, printed circuit boards, power supplies, and internal & external cables & cords. (Please see EU Directive 2019/19/EU and WEEE for more details.) We recommend that customers do not discard any PC components or parts in municipal waste. Please contact us for free support regarding proper disassembly and disposal of Howard products. 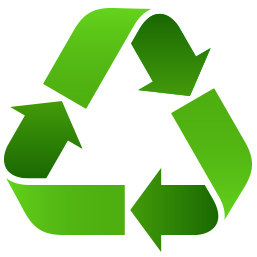 If you have batteries to recycle from Howard systems, please contact your salesperson or call 1-888-912-3151. There is no fee for recycling, just pay for shipping. For details on how to remove batteries from your Howard systems, please refer to the documentation that shipped with your system or visit our support page for downloads and contact information for assistance. For battery recycling for non-Howard products, Howard recommends contacting the original manufacturer or visiting call2recycle.org for more battery recycling resources. Howard Technology Solutions has developed a product Take-back/Recycling program that includes all desktop computers, notebook computers, and servers manufactured by us. We have partnered with Sims Recycling Solutions (simsrecycling.com), located in Franklin Park, IL, to provide disposal and recycling services for equipment recovered in our Take-back/Recycling program, and will provide a Certificate of Disposal for the equipment disposed/recycled. We also provide disk storage cleaning that meets the Department of Defense disk storage cleaning specifications. Our Take-back/Recycling program is compliant with all federal, state and local laws governing the disposal and/or recycling of computer-based equipment. Additionally, the program will comply with the EUs WEEE Directive. And when applicable, Howard Technology Solutions provides gently used, but functional equipment to schools and other non-profit organizations for educational use. For more information or to schedule a pickup, please contact your salesperson or call 1-888-912-3151. 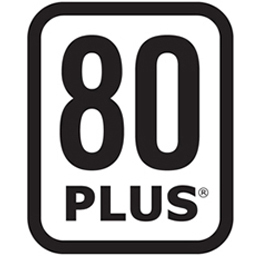 We've implemented the 80 Plus program to ensure that power supplies for our desktops, notebooks, and servers have a maximum energy efficiency rating of 80% or greater. In terms of computers, this can mean a savings of about 85 kilowatt-hours per unit per year. But the benefits don't stop there! Efficient power usage generates less heat, improving system reliability and reducing maintenance costs, which can greatly extend the life of your system. 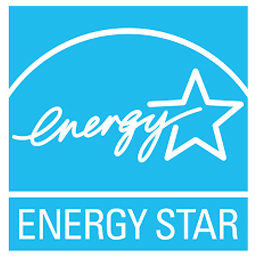 The goal of the Energy Star program is to generate awareness of energy-saving capabilities, differentiate the market for more energy-efficient computers, and promote more energy-efficient technologies. So look for the Energy Star label. Only the most energy-efficient computing products will qualify for this designation. 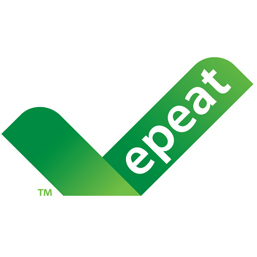 EPEAT is a system to help purchasers evaluate, compare and select desktop computers, notebooks, and monitors based on their environmental attributes.By means of a clear and consistent set of performance criteria for product design, EPEAT provides an opportunity for manufacturers like us to secure market recognition for our efforts in reducing the environmental impact of our products. HowGreen is more than a pledge to do what we can to reduce our impact on the environment— it's our plan! From the development of environmentally responsible waste management solutions including recycling to earth-friendly recovery strategies, we're investing in the future of our planet!